30 August 2016. The Departments of Trade and Industry (DTI), Interior and Local Government (DILG), and Information and Communication Technology (DICT) recently signed a Joint Memorandum Circular enjoining all cities and municipalities in the country to streamline business permits and licensing system (BPLS) using revised standard. Under the new JMC, local government units are directed to streamline business permits and licensing systems , with processing time cut to two days for new business registration and one day for renewals. The number of procedures for registration has been set at a maximum of three steps for both new applicants and renewals. All LGUs are also directed to use a unified form, both in print and electronic form, with only two signatories (Mayor and Treasurer/Business Permits and Licensing Head with alternate approving signatories) required for business permits. In addition to streamlining, the circular also recommends LGUs to automate and computerize business transactions to be able to hasten frontline services. Before the issuance of the JMC, a similar instruction was issued by DTI and DILG in 2010 to LGUs to facilitate business registration by streamlining transactions, in which it set the processing time to 5-10 days, the maximum number of procedures at five, a unified application form, and only two signatories to be able to register a business. As of June 2016, majority of the LGUs across the country have complied with the 2010 circular. According to DILG-Local Government Academy, a total of 1,419 (93%) out of 1,516 LGUs (excluding ARMM LGUs) were reported to have completed the streamlining program. The stricter guidelines for LGUs would mean more efficient and faster delivery of government services. Currently, the Philippines ranks 103rd in the Ease of Doing Business Report published by World Bank-International Finance Corp. Particularly, the country performed poorly in the “Starting a Business” indicator, where it slipped eight places to 165th places from 157th in the previous year. 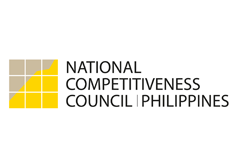 The National Competitiveness Council believes that automation of government transactions will bring substantial improvement in terms of speed and efficiency of rendering services, and will make it possible for LGUs to achieve one-day business registration. Also, it will significantly eliminate corruption in the bureaucracy, as it will reduce personal or face-to-face interaction.